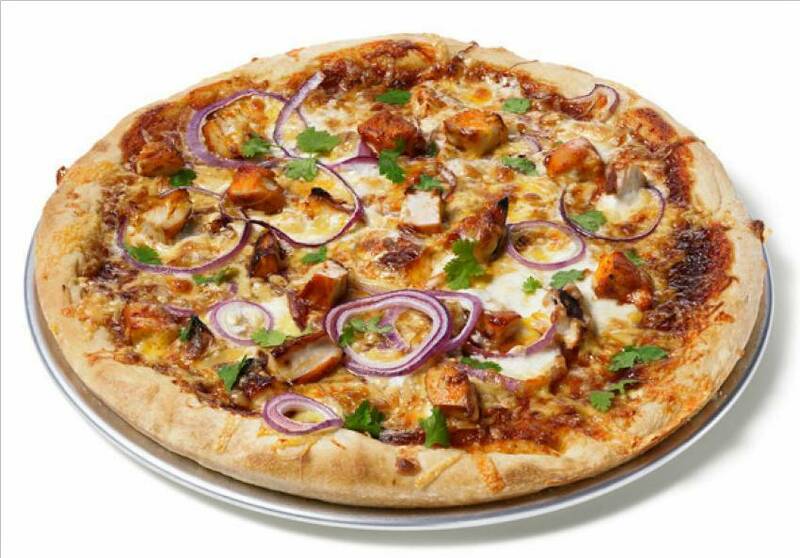 BBQ Chicken Pizza made easy with our grilling recipe. For even more flavor, sprinkle pizza with chopped cooked bacon and chopped fresh cilantro before adding the cheese. Sauté first 4 ingredients in hot oil in a large skillet over medium-high heat 8 to 10 minutes or until vegetables are tender. Drain well. Unroll pizza crust; press or pat into a lightly greased 13- x 9-inch pan. Bake crust at 400° for 12 to 14 minutes. Spread 1/2 cup barbecue sauce evenly over top of pizza crust in pan. Arrange chicken strips evenly over barbecue sauce, top with onion mixture, and sprinkle evenly with cheese. Bake at 400° for 8 to 10 minutes or until cheese melts. Garnish, if desired. Serve with extra sauce for dipping.